General users, small and medium businesses and large enterprises have all been steadily moving away from local storage. Cloud storage is not just another buzz word and offers many advantages over local storage – it has been popularized the pioneer in this field, Dropbox. Although cloud storage promises better data security, many users are still hesitant to start taking benefit of the technology as they generally perceive the internet as a scary place. However, cloud storage companies invest a lot of money and resources into keeping the data safe from intruders. Nothing on the internet is 100% secure, but cloud storage still remains a much better choice when it comes to data security and reliability. The most obvious reason behind users moving away from local storage is that cloud storage allows users to access their data from anywhere. Cloud storage is particularly very useful for frequent travelers and people who share a lot of files with others. This also makes cloud storage a must-have for team collaboration. Team members get instant updates regardless of their physical location, while duplication of work and documents also reduces to a great extent. Another major benefit of cloud storage is scalability, which allows users to choose storage options according to their requirements and upgrade when needed. In case you use all the available storage space on a physical drive, you have to purchase a new drive and pay a hefty price. But you can simply upgrade your cloud storage account to get more or even virtually unlimited space. Paying for unlimited cloud storage is also way cheaper than buying physical drives, which are prone to accidental damages and malfunctions. Cost-effectiveness, global access, data security, easy sharing and efficiency make cloud storage a better option than local storage. Users also don’t have to perform any maintenance as the data is stored in servers and data centers. 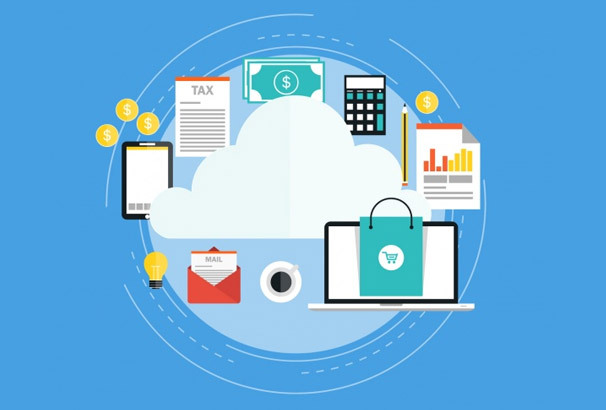 It’s the responsibility of cloud storage companies to maintain their servers and data centers, allowing users particularly businesses to save big time on maintenance costs. Medium-sized businesses and large enterprises also need to consider financial stability, infrastructure, established customer base, geographically distributed data centers, encryption, 3rd-party accreditation, SLA terms and most importantly security of cloud storage providers. Here are a few things and specific question you may like to ask before choosing a provider. Cost is usually the most important factor when selecting a service provider, but there is a lot more to the equation. Other factors such as business growth potential, background of the service provider and security measures should also be given importance. However, there is usually a lot more than the base price when you are calculating total costs, especially for businesses that often opt for selected services. It’s better to compare different services and the price providers are offering for each. Cloud storage comes in different forms, including public, hybrid, private and managed cloud storage. Choosing one depends on the type of data you want to store. If you want to store non-confidential and backup data in the cloud, public cloud should work just fine. But public cloud is not suitable for storing important company or confidential data, which requires a private cloud solution. Hybrid storage solutions work best for individuals who want to store non-confidential as well as important data in the cloud, while managed cloud services are suitable for medium to large businesses. Although most cloud storage services work just fine on different mobile platforms, some are optimized for mobile devices and offer a better experience. Many cloud storage providers offer security coverage for mobile devices, which is useful for individuals and businesses who take security seriously and don’t have technical resources to manage it on their own. Although the benefits of cloud storage are quite obvious, it takes some homework to find a provider that works best for you. There are a number of reliable cloud storage providers that usually offer free limited storage. But free storage is not suitable if you are really serious about transitioning from local to cloud storage. Although Dropbox was (and is) one of the most popular cloud storage providers and integrates with a lot of platforms and services such as being able to use to backup WordPress to Dropbox, it does not work well for all users, especially businesses. The ‘all or nothing’ approach of Dropbox forces many users to consider other options. The provider also keeps the encryption keys and does not offer full control to users. Limited storage space is another factor that leaves users wanting something different, more customizable and mainstream. 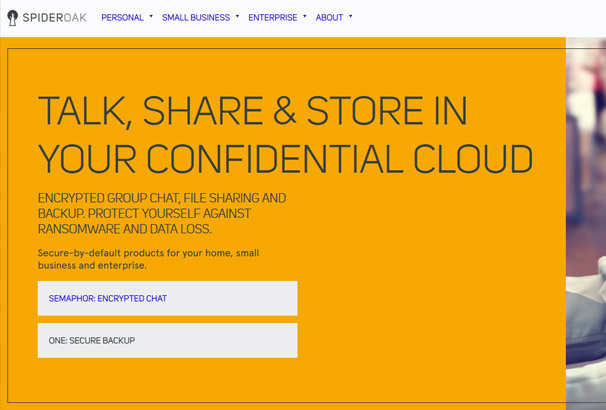 Aiming to make the selection process easier, here are our top picks of reliable and reputable cloud storage providers. Google Drive is one of the most user-friendly and integrated cloud storage and offers a generous amount of storage space for free. If 15GB is not enough for you, paid plans start from only $1.99/month and offer up to 100 GB storage space. Google Drive also offers desktop clients for Windows and Mac as well as native Android and iOS apps. 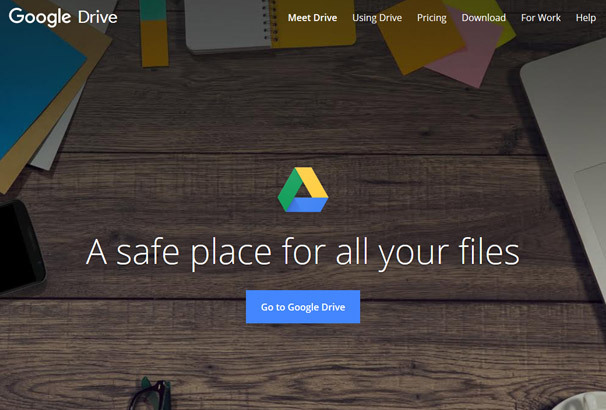 Seamless integration with other Google Apps, especially Google Docs makes Google Drive an easy choice for users who already use Google services and want a hassle-free cloud-storage. Collaboration features include comments, live document editing, e-signatures, permission tools and version history, while SSL/TLS, 256-bit AES encryption and 2-factor authentication ensure data security. If you are looking for a Dropbox alternative with a similar interface but more storage space and better features, pCloud is easy to recommend. What really differentiates pCloud from Dropbox is its high-level security and a lot of other features, including file versioning, remote downloads, deleted files restoration, video/audio players etc. Dropbox only offers most of these features with paid accounts, while pCloud offers them for free. Multiple storage locations for files and SSL/TLS encryption ensures data security even for free accounts, while users can upgrade for just $3.99/month to military-grade encryption and 500GB storage space. pCloud claims to be the most secure cloud storage provider and offered $100,000 to anyone who could break into the system. Fortunately for the company and unfortunately for the hackers, no one was able to hack into pCloud’s system, clearly showing how secure the platform really is. Free accounts get 10 GB storage space, SSL/TLS security and Android, iOS and Windows Phone apps. Collaboration features include document editing and preview, comments, WordPress integration, permissions and version history. 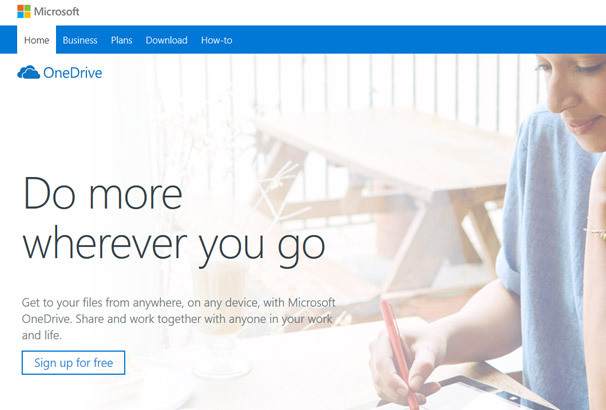 Formerly SkyDrive, OneDrive is another popular and Microsoft’s alternative to Dropbox and a great option for serial users of Microsoft products (particularly Office 365). OneDrive is now part of every Windows 10 installation and is deeply integrated into the operating system for a seamless experience (some also find it annoying). It seamlessly works with all other Microsoft Apps, especially Microsoft Office and is easy-to-use. However, OneDrive lacks top-notch security and lack of support for password protected and expiring links. Microsoft initially offered unlimited storage, but soon users started to abuse it and the company decided to restrict free users @ just 5GB. Now you have to pay $1.99/month for 50GB and $6.99/month for 1TB. OneDrive is arguably not for privacy-conscious users as Microsoft is known to scan ‘objectionable’ content. OneDrive suits heavy users of MS products and Office 365 who need extra space for backups and non-confidential data. Integrated with Amazon devices, Amazon Drive allows prime members to store as many photos as they want, but for everything else they need to purchase the $59.99/year unlimited storage plan (roughly $5/month). The desktop app syncs the files automatically, which can be accessed using Android and iOS apps on mobile devices. However, Amazon Drive lacks many features advanced users expect (even some basic features are missing), including collaboration, scheduled backups and file versioning. 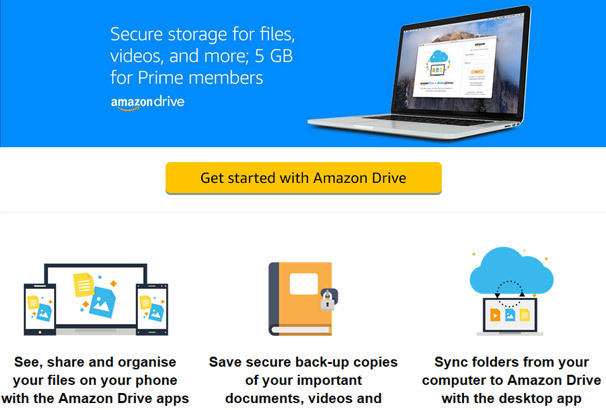 Amazon Drive mainly focuses on image storage and it’s only suitable for you if you have a lot of images to deal with. 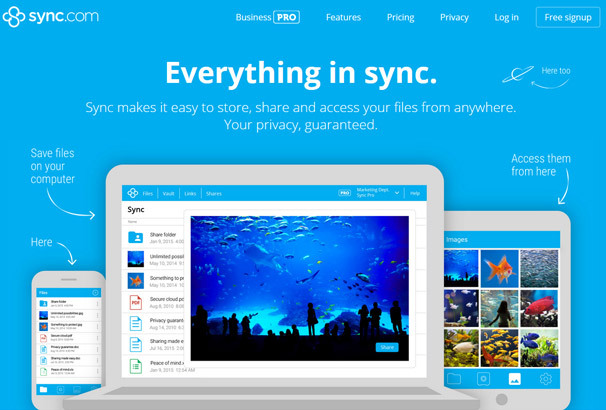 Sync.com may not be among the most popular cloud storage providers, but it is steadily gaining momentum and offers top-notch privacy features and quality services. It’s also one of the very few providers who offer full control over encryption keys, ensuring that only you have access to your data. The desktop app syncs automatically, while Android and iOS apps make it easier to access files from anywhere. Sync.com also offers excellent collaboration features, making it easier for teams to collaborate from different locations. 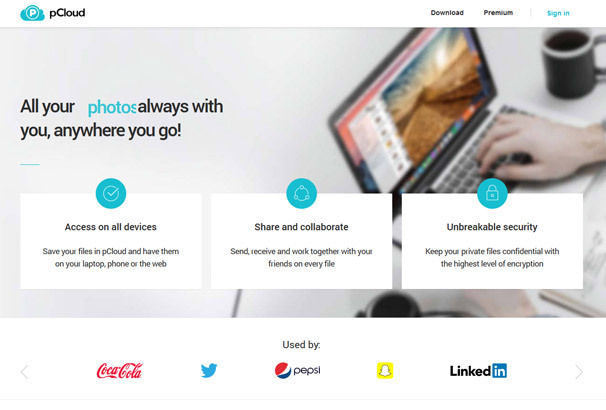 The free storage account provides only 5GB storage space, but it’s still better than Dropbox. Paid plans start from $5/month and offer up to 1TB space. Solid security, full suite of features and better privacy features make it a good option for users who want more control over their data. However, sharing options are rather limited and available through the web client, while most of the options are limited to paid plans. 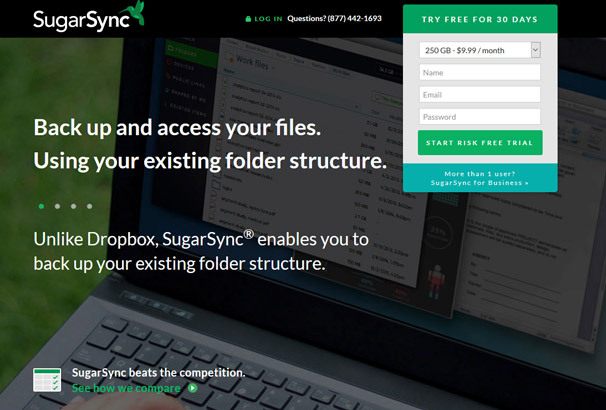 SugarSync is a great option for casual users and allows backing up data with the original folder structure. This means users don’t need to change anything and an exact clone of the folders is backed up in the cloud. Features like detailed folder-permissions and the ability to choose particular folders and sync them across devices help SugarSync stand out from the crowd. Although SugarSync provides a 30-day trial, that’s about it and there are no free plans. Subscription starts from $7.49/month and includes up to 100 GB storage. It’s also very easy to use and offers a more intuitive user interface than most other cloud storage providers, while the mobile apps also leave very little to be desired. But it’s relatively expensive and does not offer many real-time collaboration features. You also don’t get private encryption keys and it’s not easy to cancel a subscription if you want to move to another provider. The name of the provider may sound a little strange, but the Edward Snowden approved company represents top-of-the-class privacy features, end-to-end encryption and user having access to encryption keys. If you are looking for top-notch privacy and security features at an affordable price, SpiderOak is one of the best providers out there. However, there are no free plans and only a 21-day trial if you want to try the service. Paid plans start from $5/month and offer up to 100 GB storage space, excellent backup options, customization and high-end privacy features. However, sharing is not as simple as most other providers, while performance is also not on par with the competition. If real-time collaboration, speedy backups and ease-of-use is your main concern, you might want to consider other options. SpiderOak is meant for privacy-conscious users who want a zero-knowledge provider that offers rock-solid security and privacy.